Need something different? We speak custom. 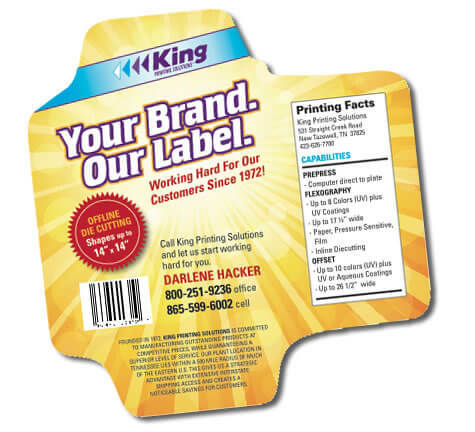 If your labels or forms need a special touch, King Printing Solutions offers a variety of custom options. Make your packaging stand out with unique shapes and specialized graphics. Many businesses prefer to use documents and communication vehicles utilizing process color. Combine the efficiency of a dual web form with the eye-catching appeal of process color.